One of world's popular Antivirus and online security provider for PC and mobile devices, Avast! 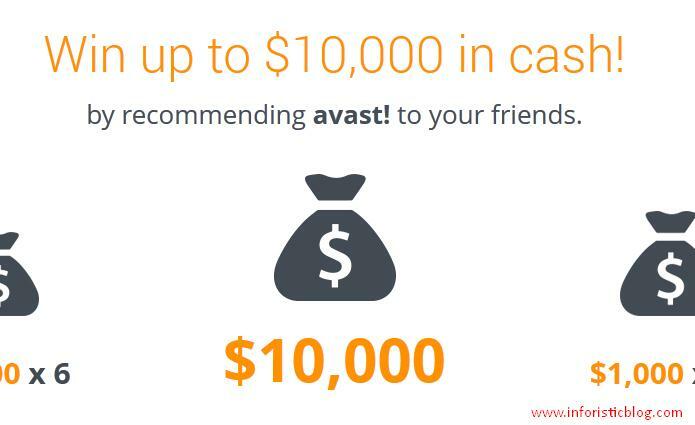 is giving out cash prices this season to reward users that can get as much friends as possible to download the Avast Free Antivirus software to their devices. Read on for the full details. So, how do you participate in this contest? Firstly, you need to Download Avast Free Antivirus, after successful download, you will be prompted to register and create a free account. Then, you can now proceed to this link to get your unique referral URL to recommend the Avast! Free Antivirus to your Friends.